Episode 4 of of the L.O.G. Cast is now live! This week, the L.O.G. Cast has its first interview. 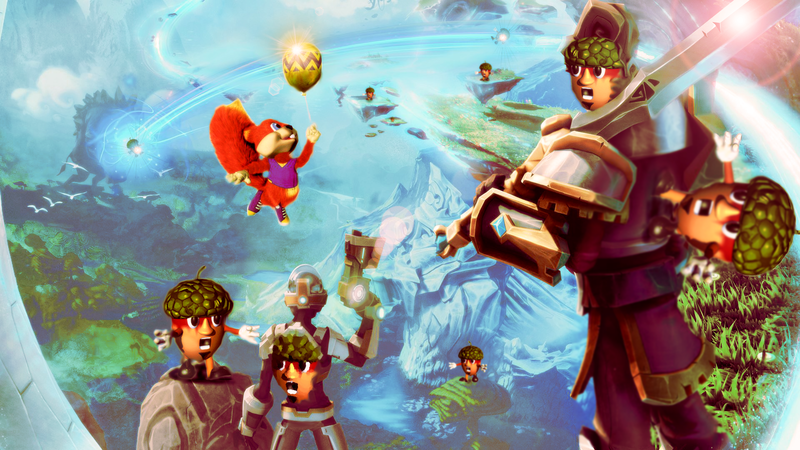 We sit down with Agent Ape, whose Conker’s Pocket Tales HD project is in the process of recreating the GBC game fully in Project Spark. We also have the third installment of Rare Storytime, plus off-topic tangents about Metroid and British television. Don’t miss it! Also, if for some demented reason you want the image used for this week’s title card as your wallpaper, click the image below, and you too can have a desktop that serves as a breeding ground for the Evil Acorn Army. The episode should be up on iTunes, but you can also download the MP3 here.